Mayor Terry Crow visited with students to inspire and answer questions on how to make the most impact through various careers. 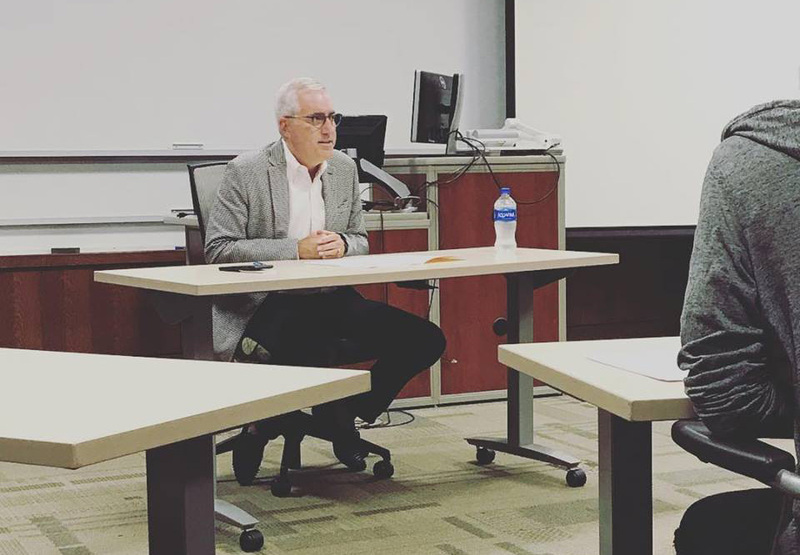 Mayor Crow worked collaboratively with Career Planning and Development Center Director, John Link, and Gwyneth Williams, Professor of History, Politics, and International Relations, to visit Webster University and speak to students who have broad career interest areas. Mayor Crow encouraged participating students to leverage their university contact network and resources to explore career opportunities. Currently enrolled students of Webster University can access these services through the Career Planning & Development Center. In addition, the Graduate Career Management Program is available to graduate students enrolled in all academic programs.